GLOUCESTER — Chairman John Rosenthal is pleased to announce that the Police Assisted Addiction and Recovery Initiative (P.A.A.R.I.) has been featured in the U.S. Department of Justice’s Office of Community Oriented Policing Services’ (COPS Office) publication, Building Successful Partnerships between Law Enforcement and Public Health Agencies to Address Opioid Use. The publication contains real-world strategies for promoting collaboration between public health and law enforcement agencies. The 110-page article highlights a myriad of partnerships already in place across the country that are making powerful, positive impacts in communities. P.A.A.R.I. was created in 2015 to sustain and build upon law enforcement programs like the Gloucester ANGEL Initiative and Arlington Police Outreach Initiative — revolutionary and compassionate law enforcement-based responses to the opioid addiction epidemic that place people seeking help for an opioid addiction directly into a treatment, as opposed to behind bars. In the COPS Office article, P.A.A.R.I. was highlighted for the strides it has made connecting public health officials and public safety officers under one core mission: save lives and put an end to the opioid epidemic by decreasing not only the supply side of the issue, but the demand. 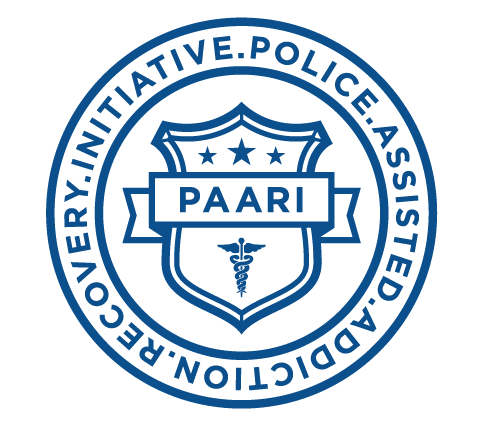 This recognition serves as an important step in furthering P.A.A.R.I,’s cause, as the publication will have a far-reaching impact across police departments throughout the country that are looking to implement addiction recovery initiatives in their communities. P.A.A.R.I. police departments share a common mission: encourage opioid drug users to seek recovery, help distribute life saving opioid blocking drugs to prevent and treat overdoses, connect those struggling with the disease of addiction with treatment programs and facilities and provide resources to other police departments and communities that want to do more to fight the opioid epidemic. In just over a year, P.A.A.R.I. has grown into a network of more than 150 police departments across the country and over 200 treatment centers to secure fully-funded scholarships for participants with or without insurance. Learn more at paariusa.org.